This post is part of a #sponsored campaign we participated in on behalf of Mom Central Consulting for Bomb Pop. I received product samples, a party kit, and a promotional item as a thank you for participating. 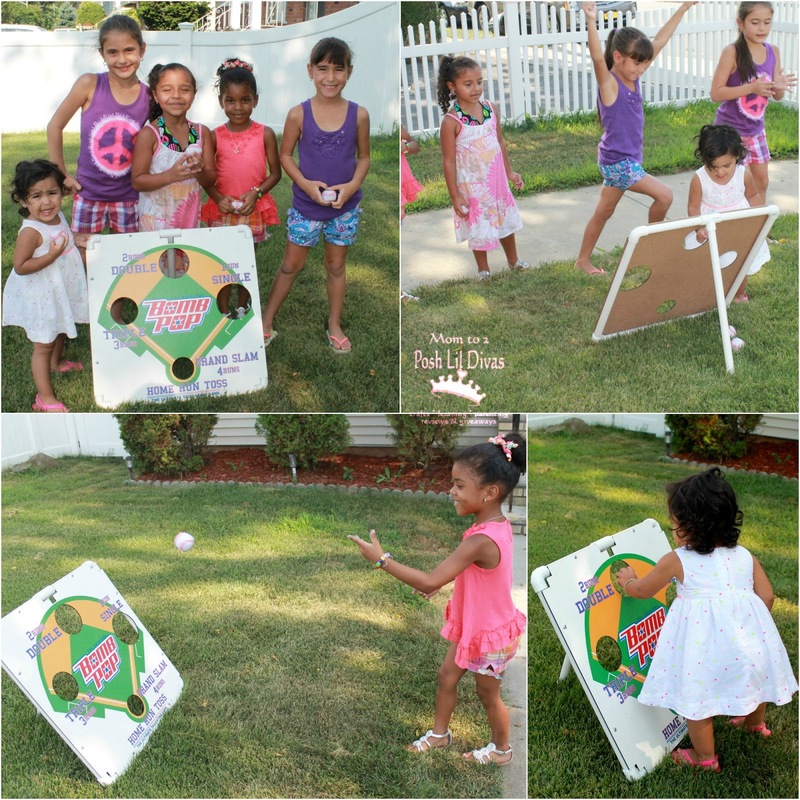 Do you have lasting childhood memories of summertime? I certainly do! Some of the things I remember best are our summer vacations, long days playing outdoors and lots of ice cream bought from the ice cream truck that would drive through our neighborhood. Hearing the truck's music just made us all giddy in anticipation. 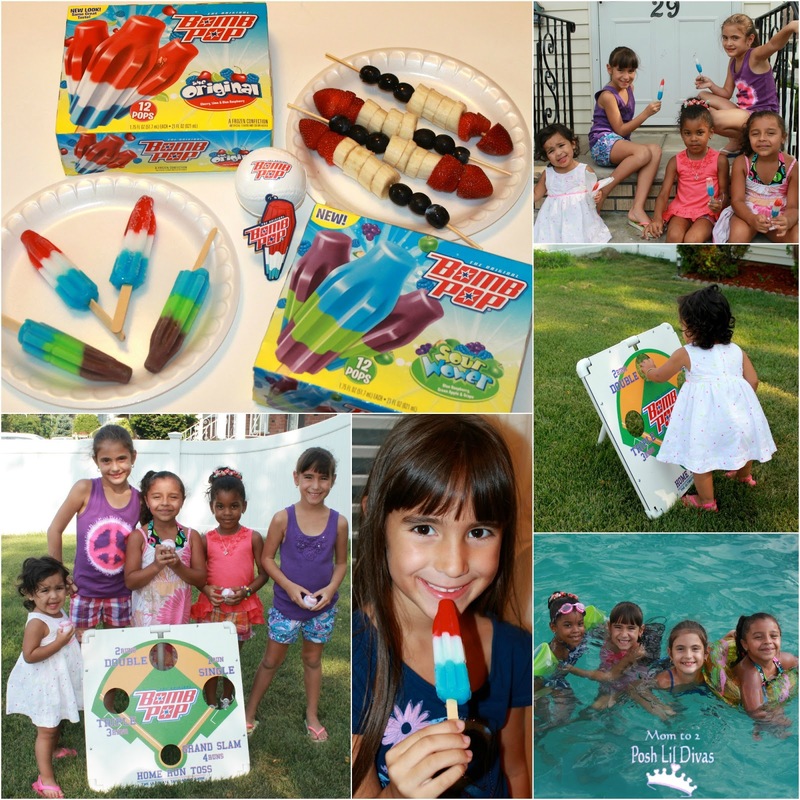 One of the treats I enjoyed best were ice cold Bomb Pops so when I had the opportunity to host a Bomb Pop Summer Party, while we were on vacation in my hometown, I was super excited. What better way to celebrate summer than with family, friends, BBQ and pool time in the sun. Getting to enjoy time outdoors is one of my favorite things about the summertime. We got all the girls together (yes, it was an ALL girl party!) and headed to the front yard for some bean bag tossing fun. They made up their own rules and played the game however they wanted so it kept evolving and gave us lots of playtime. 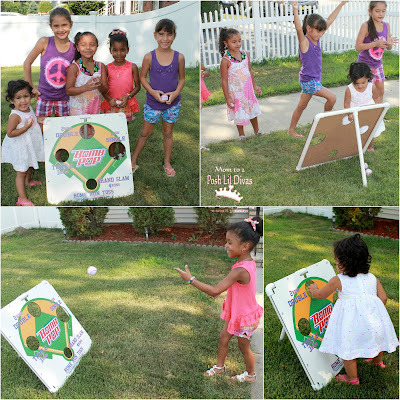 Everyone (aged 2 - 7 years old) had a blast and worked up a sweat so when we brought out the ice cold Bomb Pops, there were cheers all around. Yay for yummy Bomb Pops in the hot summer sun! Our Bomb Pop party took place during a NY heat wave so it was HOT! 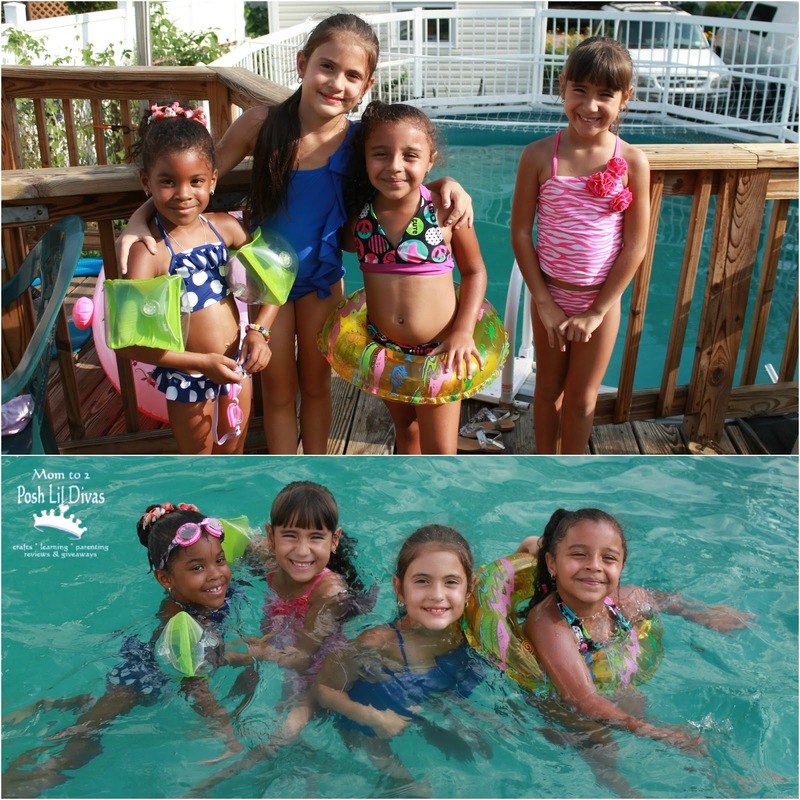 It was a perfect day for the Lil Divas to spend time with their cousins and friends in the pool after working up a sweat playing games in the sun. 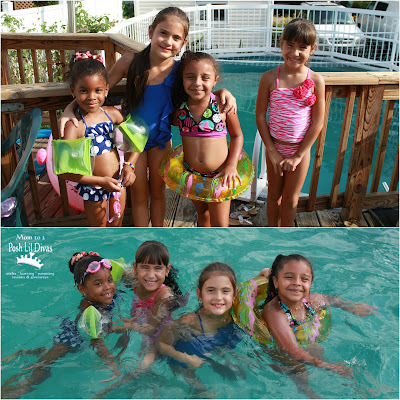 Everyone got to swim and play pool games to their hearts content until their rumbling tummies beckoned them to dig in to some yummy BBQ. We enjoyed a fabulous day filled with yummy BBQ, ice cold Bomb Pops, outdoor games, pool time and special memories made with family and friends. It was wonderful to be able to have this Bomb Pop Summer Party during our visit to my hometown. We don't get to come to NY often enough so moments like these are very special and important to me. 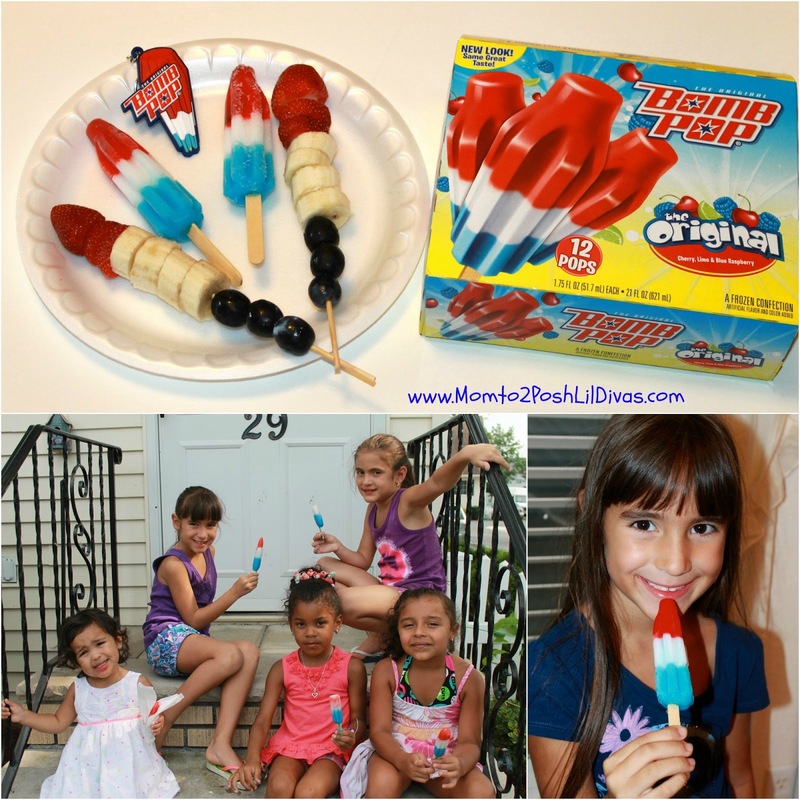 It seemed fitting that one of the treats that highlighted my childhood summers - Bomb Pops, would now hold a special place in the Lil Divas memories too. What special treats do you recall fondly from your own childhood? Have you been able to share them with your own children? For more information on Bomb Pop and all their available varieties visit their website and follow them on Facebook and Twitter. Disclosure: This post is part of a #sponsored campaign we participated in on behalf of Mom Central Consulting for Bomb Pop. I received product samples, a party kit, and a promotional item as a thank you for participating. All opinions and experiences are 100% mine and honest. Your opinion and experience may differ. Oh boy this took me way back. I forgot how much I loved this pop. After seeing this review I had to run out and get some. To my surprise not to many places had them. I finally found them at Walmart. Thanks Bernie it was great to see you post on the pops. I see everyone had a great time!!! That looks like a wonderful summer party. I, too, love the jingle of the ice cream truck. I used to love the Chocolate Eclairs.